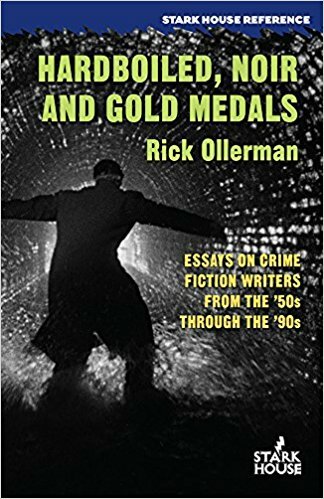 I knew I was in for a good time when Ollerman described in his introductory essay how Harlan Ellison's,collection An Edge in My Voice, impacted Ollerman's life and writing career. Ellison modeled not only a way to write about important topics, but also a way to respond to the world. [Ellison's] writing had such power and clarity, whether he was talking about his car or his dog, his early life in Ohio or his more recent time in Hollywood. And these were essays, those drab kind of things you had to write in school to try to show teachers you weren't just copying multiple choice answers from your neighbor's answer sheet from the desk next to yours. Ellison never suffers fools or liars gladly. Ollerman recounts a story Ellison tells about working a single day for a company that did not treat its workers well. The young Ellison realizes this, tosses his work into the air, and leaves, never to return, The young Ollerman picked up on this. "Ellison showed me I didn't have to keep a bad taste in my mouth and work for bad people just because I was afraid not to have a job. I could always get others, and I did." One of those jobs, good for those of us who like noir and the PBO era, is writing for Stark House Press. These essays and introductions cover a great deal of territory in his felicitous prose, mentioning many authors only fellow crime writers and students of the genre remember, and brings them alive for the length of the essay, writers like Charles Williams, and in particular, Peter Rabe. In a couple essays, Ollerman discusses Rabe's series characters, Daniel Port and Manny DeWitt, as well as his standalone books. In a ready-for-reading style, conversationally humorous and extremely well-read, the essays take on the books with no little aplomb and a great deal of insight. Like today's troubled noir protagonists, "to one degree or another [Rabe's] characters tended to have a moral ambiguity to them, conflicted and torn on the inside, not knowing what it took to get what they wanted." Also, in a job I don't envy, Ollerman goes as far as to edit and prepare a Rabe manuscript for posthumous publication. Trying on another writer's voice outside of parody is a tough task under any circumstance, but when it's a writer with Rabe's reputation, issues arise. The hardest part was that first chapter. I tried a number of different strategies, all trying to stay as close as possible to the actual words Rabe himself had used. First I took out all of the things from the chapter that did not have anything to do with the rest of the book, including characters, names of places, everything. Using what I had as a template, I tried to write in Rabe's voice and recreate what I'd left as the events in the first chapter. Ultimately, Ollerman succeeds in getting together the Rabe books for publication with Stark House Press. A success story, in the end, and one I'm grateful for. This is Williams' first real "crime" novel, and it retains its rural elements but moves the thrust of the action into an actual city.His archetypical male and female characters are present, as well as the PBO trope of love at first sight, but another Williams technique continues to emerge here: the perfect crime that turns out to be not quite so perfect. Oh, it seems so for much of the book but then someone yanks on a thread, and almost before the reader is aware of it, the thread begins to unravel the bigger, complicated tapestry that makes up what just a short while ago seemed like a genuinely foolproof scheme. This is where the Ollerman collection turns, from a very good book into a great one. The Williams essay is lodged near the center of the book and provides a measure of the collection as a whole. 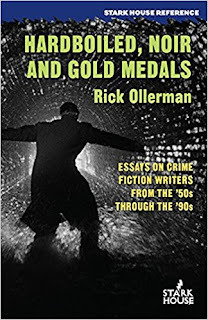 Halfway through the essay collection, working with little background on the writer and only a bit more criticism, Ollerman creates an entertaining and succinct account that gives Williams his due without resorting to excessive claims or fashionably negative critique. He acknowledges where the novels succeed and where they fail, tracing Williams early successes like his million-selling Hill Girl through the middle ground of caper novels and nearly comedic ones, into the seagoing-centered novels that make up what most people point to as his most successful books. In any case, I tried to put out a piece that explained Charles Williams in a way that I hadn't seen done before, at least not in the English language. Much of it is almost an inventory of his oeuvre, pointing out a possible reason why Williams may not be as popular as many people feel he deserves--he often re-uses the same or similar elements in many of his books (not that he's alone in this; Frank Kane would famously re-use whole passages of nearly identical text from book to book). Ollerman covers much ground in this collection. In addition to Rabe and Williams, there are essays long and short discussing the duo that comprises Wade Miller as well as Jada Davis, John Trinian, Ed Gorman, W.R. Burnett, and more. They all succeed, f only because we know so little about the PBO period. If one could quibble about anything in this fine gathering of essays, it's that it fairly begs for Ollerman, or some other like-minded soul, to do full-scale biographical/critical editions of some writers from this era. I, for one, would look forward to a book-length Ollerman take on a PBO author. I think the readership of the world is ready for it, too.